About the data: Global monthly MODIS fire location product (MCDML14) from collection 6 has been obtained from University of Maryland’s ftp server (ftp://fuoco.geog.umd.edu/). 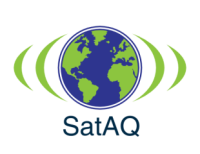 The fire locations for each year for individual states are processed by SatAQ team. 1. These data sets contain fire locations detected by MODIS-Terra and MODIS-Aqua. 2.1 Fire counts for year 2000 only represents data for March to December 2000 from only one MODIS sensor (Terra). 2.2 Fire count for year 2001 only represents data from only one MODIS sensor (Terra). 2.3 Fire count for year 2002 represents all months from MODIS-Terra and July to December from MODIS-Aqua. 2.4 Fire count for year 2003 to 2015 represents all months from both MODIS sensors. 2.5 Fire count for year 2016 represents Jan-Apr from both MODIS sensors.